No matter which casino you decide to play at, if you’re looking for slots, you’re looking for the best slots available. Slot games require no special skills or knowledge in order to play, so it’s easy to just sit down and start playing a game—or a couple of games. However, like any casino game, there are ways to be a little bit strategic when it comes to betting your money. We’ll take you through some best practices to help you first find the best slots online and then show you how to play great and win big. (Note: Video slots in your typical casino will usually be five reel slots). Online slots differ from traditional slots in a variety of ways. They often have wild and scatter symbols – both of which offer an increase payout opportunity for the player. In addition, most will offer progressive jackpots and will provide the player with free spins and bonus games, which provides the players with increased opportunity for a big payout. Like any game you choose to play at the casino, going in with a decided bankroll is very important. However, playing slots online, it’s absolutely imperative that you commit to a number and stick with it. You can make and lose money rather quickly in slots, so keeping a strict bankroll will negate any big losses and keep you psychologically grounded. Also, given that you aren’t physically handling any of your money, it can often feel as if you’re not playing with real money, which can lead to increased risk. This is purposeful on the casino’s part, so be cognizant of the “real cash” value of the slots points you have accumulated. Keep in mind that when it comes to roulette or blackjack, you can mathematically calculate the percentages. You can’t do this with online slots, even if you find the absolute best slots online with the type of volatility you enjoy, the only way to know how much you’ve made or lost is to continue to keep tabs on your “player history” and track your progress throughout your gaming sessions—that is, by hand. Take Advantage of the Free Slots Money! At the end of the day, the player is always looking for the best and easiest way to make money. 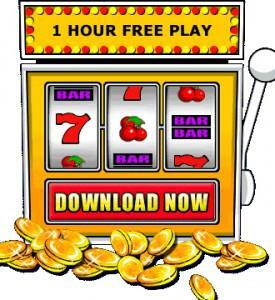 As mentioned above, online casinos will often provide the player with free spins and slots bonuses. When compared to other casino games, online slots offer higher bonuses with lower wagering requirements. This is a great way for a player to make money without dipping into their pre-determined bankroll. Your best strategy when playing is to enable all the pay lines with the maximum wagered per pay line. While this seems like a risky proposition, keep in mind that winning combos only payout if they appear in an active pay line, even for the very best slots online. Also, as mentioned above, online casinos usually offer a progressive jackpot, which can only be won if all pay lines are active and maximum coins are wagered. In order to make sure you meet all the necessary criteria for a big payout, hit the “Bet Max” button, which will ensure that all pay lines and wagers are maximized. Al online slot machines are meant for players to make money and have some fun. If you struggle with the former, don’t let that ruin the latter. Use these tips provided to help you make some money and have some fun. If you end up becoming a millionaire, be sure to buy a round at the bar and tell everyone who taught you all that you know: the Silver Oak Casino!